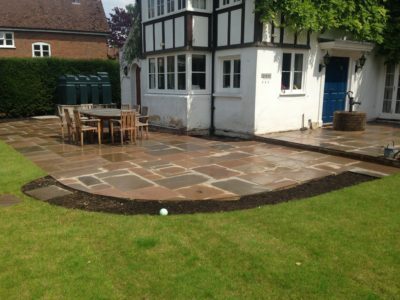 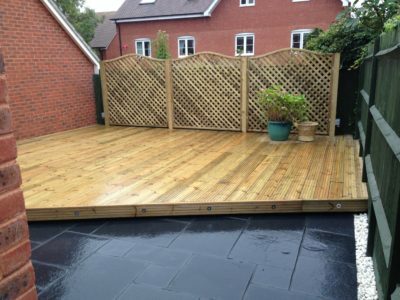 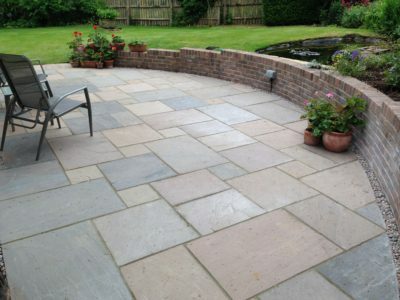 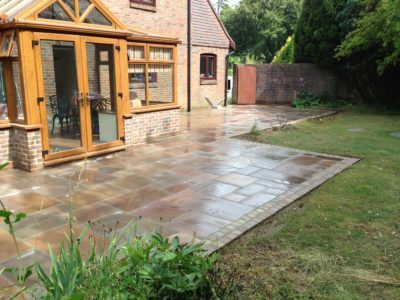 Here we built a patio using ‘Victorian Black’ Natural Indian Sandstone. 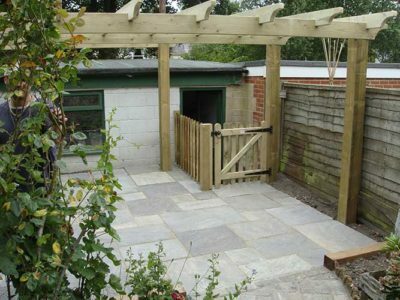 We built a pergola for a vine to climb over the patio in order to create a screen from the sun. 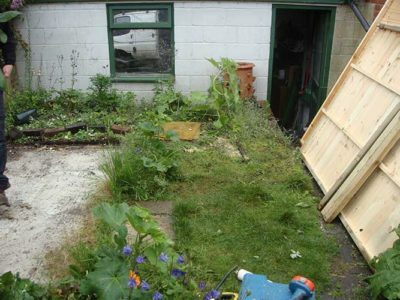 We also built a small palisade fence and gate.